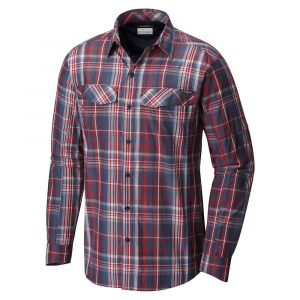 The butter soft fabric of this lightweight, moisture-wicking shirt makes it a pleasure to wear. Keeping cool is easy, as the Screeline Shirt's material allows air to pass through it quite easily. 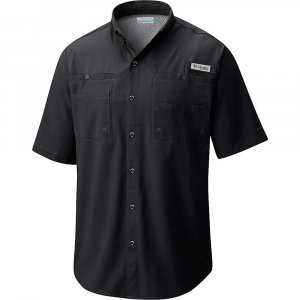 If you are outside all day, being fully covered by this shirt provides UPF 50 sun protection. 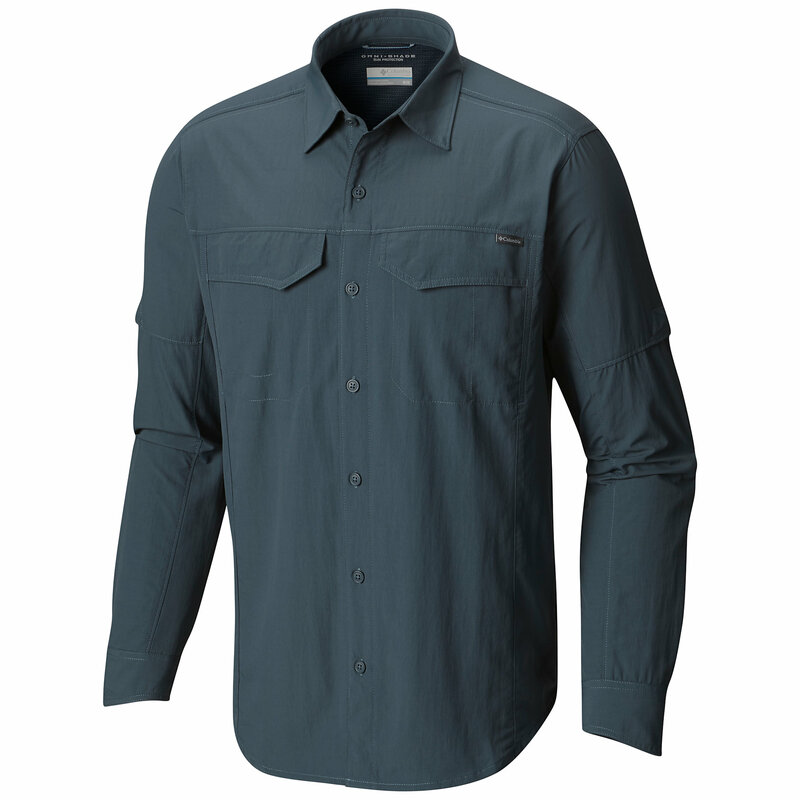 I have been testing this Rei Screeline Shirt for a couple of months now and it is performing quite well. 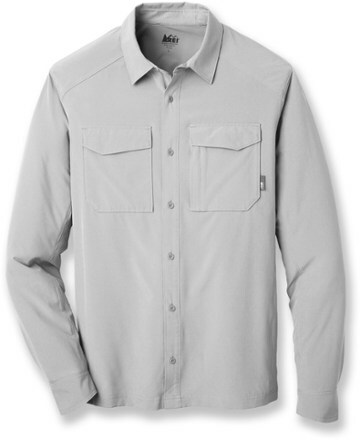 This a classic men's button down shirt featuring two breast pockets and a straight hem. The shirt is cut long at the hem and it can be worn tucked in or worn out. It is available in two colors and I chose Seattle Mist, a light gray. 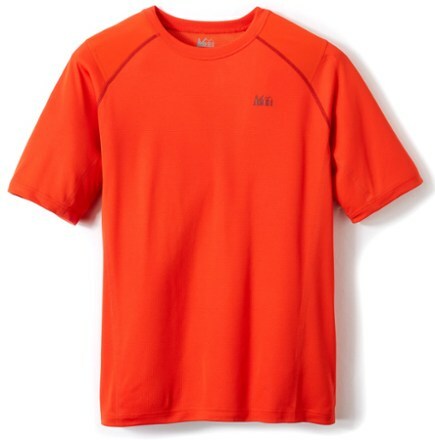 On sunny days this is one of my go-to shirts for hiking or backpacking. I really like the soft fabric feel. I find the shirt to have really good ventilation that is enhanced by its moisture-wicking properties. The collar, underarm, and shoulder areas have an additional layer of vented material that helps trap sweat. 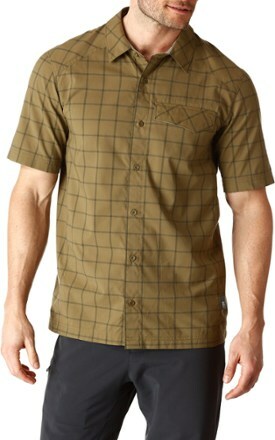 I prefer to be covered up for sun protection and this shirt does a great job. The light colors offered on this shirt help keep the shirt from getting too hot while providing that all-important sun protection. The shoulder seams have been moved to the front and rear of the shoulder, which removes a point of irritation when wearing a pack. The long hem keeps the shirt tucked in when bending over or squatting. 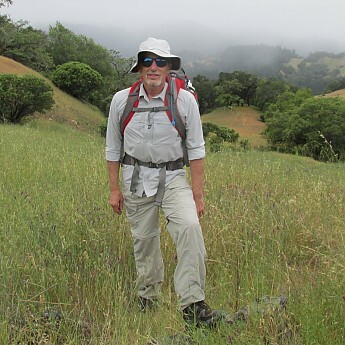 During a recent backpacking trip in Austin Creek State Park, the shirt performed well on a muggy 85-degree day that started with fog and cleared to full sun. While my back got sweaty where it was in contact with my pack, the rest of me was dry. The fabric did a good job of wicking the moisture out where it could then evaporate. With the pack off, the shirt dried in about 5 minutes. The light color came in handy for picking off deer ticks that were infesting the tall grass along this trail. The Screeline Shirt is holding up well and still looks like new after about 10 washings. I like that this shirt comes out of the dryer wrinkle free, which makes it a candidate to double as a travel shirt. 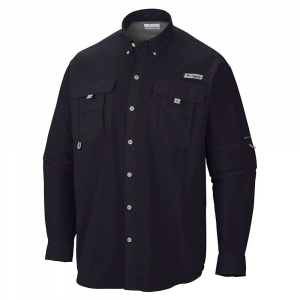 The REI Screeline Shirt is not available from the stores we monitor. It was last seen October 31, 2018	at REI.